Your employees are the life blood of your organization. 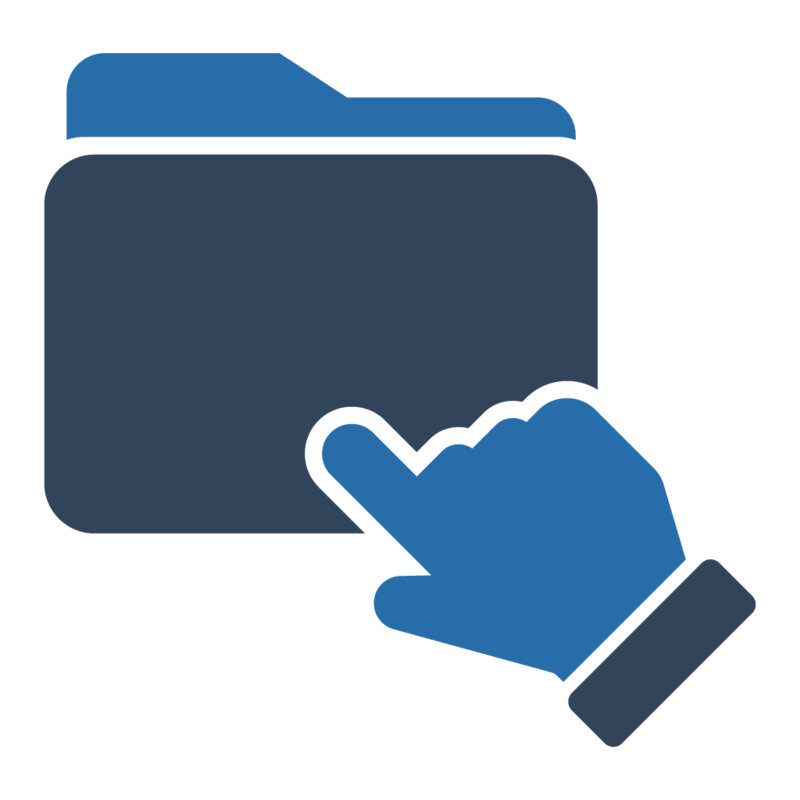 Your success is dependent upon your ability to hire the best possible talent, retain and motivate these resources, and protect yourself from litigation and compliance issues.The best way to meet all of these needs is through the adoption of a Document Management solution like docMgt. 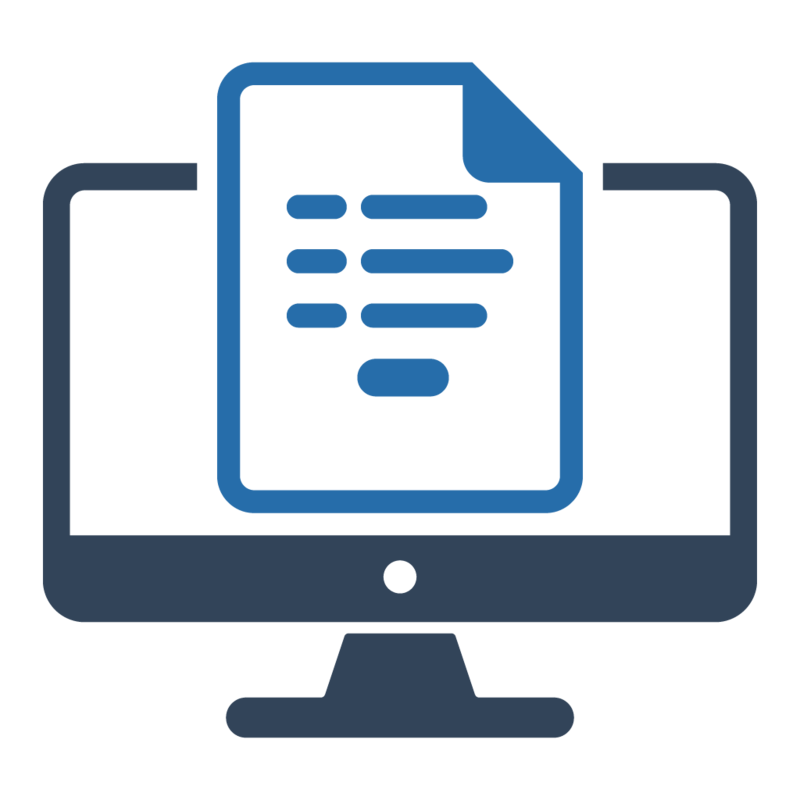 docMgt provides a very comprehensive yet easy-to-use electronic form designer which enables organizations to make Employment Application forms for outside users to submit applications, resumes and other supporting documents. These forms help compile and organize the information on the way in, making it easier to find just the right candidate. Electronic forms are smart enough to require as much information as needed and the format in which they are needed. They are also flexible enough to adjust to the input already given so forms can show or hide fields, sections or pages intelligently as the user is working through the form. Electronic forms can also be used for any number of other forms for HR such as Annual Reviews, Insurance Sign-Ups, Employee Correspondence, Time Off Requests and more.  Portals allow the HR department to share information with and request information from users. Portals can be used to automatically request follow-up documentation from prospective employees or to share information to new hires. Each portal is independently secured so they are only accessible by internally-assigned users and externally-authenticated users. This ensures communication that is much more secure than your typical email exchange. Portals also give progress and tracking information that you just can’t get with email. docMgt can also be used to send out notifications to internal employees on upcoming HR events such as insurance sign up deadlines, employee reviews, company parties and more. Portals are a great complement to any HR process. Employee onboarding can be a problematic and confusing process for both employees who work the process and the potential employees applying for the positions. docMgt has a set of tools to help tame even the toughest onboarding issues. 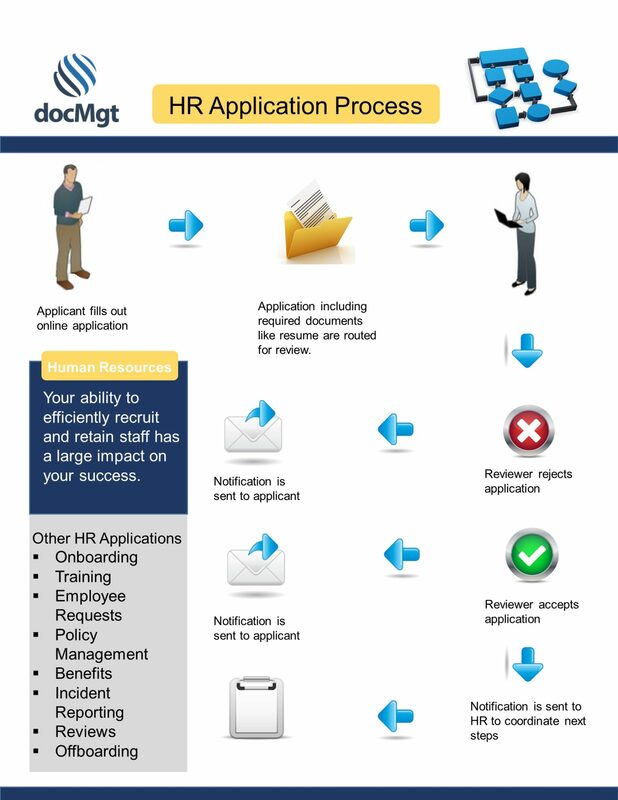 docMgt’s electronic forms, workflow processing and public portals give HR departments large and small a much needed helping hand to process applications and find the right people for the right job.